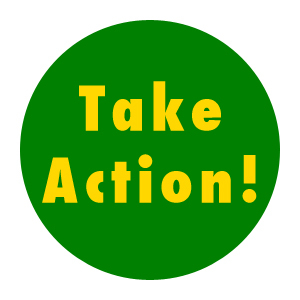 Action Alert (Texas) – Local foods bills on the move! Three of our local foods bills are moving forward in the Texas House of Representatives! The cottage foods bill, HB 970, passed it first vote on Saturday! Two more bills — the DSHS Better Communications Bill and the farmers’ market sampling & cooking demonstration bill — are scheduled for a vote this week. All of these bills help our local farmers and food producers get their products to market. These bills need your support to keep moving, all the way through the Senate and to the Governor! Unfortunately, the raw milk bill and three more local foods are still stuck in the House Calendars Committee. If they are not put on the schedule by tomorrow, Tuesday, May 7, then they will die without ever being voted on. We were told that the raw milk bill would be voted on, but it is not yet scheduled — so our focus in the last push is to get a vote for raw milk! Stay tuned for more alerts. It’s going to be a very busy few weeks, but we have a real chance to pass good laws to help our local farmers! Please also urge him/her to co-author the raw milk bill, HB 46, and to urge the Calendars Committee to schedule it for a House vote. See the end of this alert for descriptions of each of the bills. You can find out who represents you at www.fyi.legis.state.tx.us or by calling the Capitol Switchboard at 512-463-4630. The Switchboard can connect you to their offices, and it takes just a couple of minutes. Email all the members of the Calendars Committee (listed below). You can send an email follow-up even if you have already called. Call your State Senator and urge him/her to support the local food bills when they come to the Senate: HB 970 (cottage foods); HB 1382 (farmers’ market sampling and cooking demonstrations); and HB 1392 (DSHS Better Communications Act). 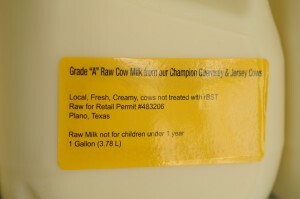 ➢ HB 46 – Improving a ccess to raw milk: Texans can legally buy unpasteurized milk from cows and goats that are raised on pasture-based farms. But consumers’ choices are limited by regulations that limit sales to taking place on-farm and require individuals to drive out to the farm, which may be up to 2 or 3 hours away. This regulation burdens consumers and penalizes family farmers. The bill would allow licensed farmers to sell raw milk directly to consumers at farmers markets and consumers’ residences. This bill would continue the direct farmer-to-consumer relationship while ensuring that raw milk is both safe and accessible to rural and urban customers. ➢ HB 970 – Encouraging home-based food production, aka “cottage foods”: Until last year, anyone making and selling any food at all (other than uncut fruits and vegetables) had to do so in a commercial, licensed facility that was subject to regulations designed for large-scale industrial food production. Last session, the Texas Legislature provided that “cottage food producers” could make specific low-risk foods in their homes and sell directly to consumers, up to $50,000 per year, without being regulated by the state and local health departments. The bill has led to the establishment and growth of numerous small businesses in this state, with no reports of resulting foodborne illness. HB 970 would expand the law to include other foods designated as non-potentially hazardous by the FDA. The bill would also remove the restriction that the sale has to occur at the person’s home, allowing the seller and buyer to connect at farmers markets, farm stands, and nonprofit community events. 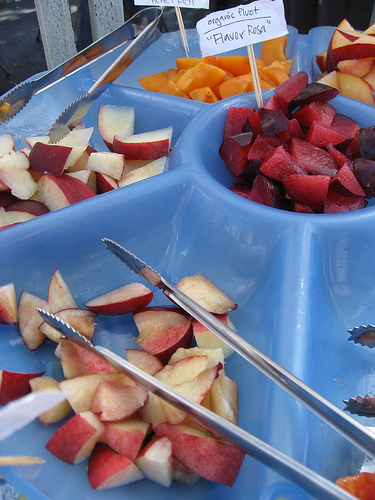 ➢ HB 1382 – Making it easier to provide samples at farmers markets and farm stands: Letting potential customers sample food is a great way to increase sales and encourage people to try unusual fruits and vegetables. But current regulations that govern food samplings are based on the conditions in brick-and-mortar facilities and pose unnecessary challenges for farmers and food producers at local farmers’ markets. The Health & Safety Code provides standards for sampling produce at municipally owned farmers markets, and there have been no reports of problems resulting from such an approach. This bill simplifies the current provision in the Health & Safety Code and expands it to all farmers’ markets and farm stands. ➢ HB 1392 – Directing the DSHS to respond to inquiries about the law and its application to specific factual situations: Farmers and small-scale food producers have faced serious problems because of the inability to determine what is actually required under the regulations. When asked, the Department of State Health Services (DSHS) provides little guidance, leaving the producers to decide whether to invest anywhere from several hundred to tens of thousands of dollars and potentially still face fines depending on the department’s discretion. ➢ HB 910 – Limiting fees for farmers selling directly to consumers: Many local health departments require farmers and other food producers selling directly to consumers to apply for permits to do so. The fees associated with such permits have created a financial burden on many producers who are small businesses with low profit margins. These high fees discourage farmers from participating in farmers’ markets, particularly smaller markets in less affluent areas. The bill proposes to cap health department fees at $50 per jurisdiction, making it feasible for small farmers and local food producers to provide food to local consumers without unnecessarily adding costs. ➢ HB 1306 – Establishing fair property tax treatment for urban farms, community gardens, and sustainable farmers: Current state law provides that land shall be appraised as qualified agricultural land if it is primarily used for agricultural use. But urban farms, vegetable farms, and community gardens have often been denied agricultural valuation, even when the primary purpose of the property is raising food for the community. This bill seeks to clarify the statute so that such farms and community gardens qualify for the agricultural valuation that they are entitled to. ➢ HB 1393 – Removing barriers to on-farm and in-home food production: Current regulations require that farmers and other food producers have a separate building from their residence in order to get any kind of a license. For small farmers and small-scale food producers, this means a choice between spending thousands of dollars building an entirely separate building or having to rent space – at significant expense and inconvenience – at a commercial facility. This bill would remove the requirement, allowing people the choice to license facilities within their own homes if they meet the applicable sanitary requirements.